As you know, I’ve been tinkering for some time with the book list for this fall’s version of ‘Mystery and Detective Fiction.’ This course presents a special set of challenges for me because the range of options is so wide and because my patience for exploring the options runs out pretty fast. I’ve also been asked to teach it so often since I first introduced it in 2003, and I’m always torn between the simplicity and efficiency of just using the same books as before and the desire for some change, not to mention the pricking of my conscience about trying to represent as many voices and styles in the genre as I can. After another round of suggestions, explorations, and cogitations, not to mention a very tedious search for a reader that included all of my ‘must have’ short fiction, here’s what I’ve settled on for Fall 2011. The order is in, so don’t you dare tell me what books would work better or what important writer I’m obviously missing. Actually, feel free to tell me. I’m sure I’ll be teaching the course again, probably as soon as 2012-13, and I might as well get the list started for the next round of ideas. Also, I emphasize in class that our list can’t even hope to be comprehensive even as a sampler: the stated goal of the course is to equip them with contexts, critical ideas, and reading strategies that will enhance their reading of any mysteries, so it doesn’t hurt to be able to mention other titles they should look at. McBain, Sjowall and Wahloo and Mosley will be brand new “preps” for me. I left An Unsuitable Job for a Woman off the list for this survey class last time, but it’s one of my own favorites and when I saw I could work the schedule to allow time for one more book, I decided to give it to myself as a treat as well as to the students as a striking contrast in theme and style to the greater minimalism (and testosterone) of McBain and the increase in hard-boiled tough stuff that comes with adding Mosley. This will be the first time I’ve offered the course without Ian Rankin’s Knots and Crosses, and I’ll miss that one for its blend of procedural conventions and literary material (it’s usually a student favorite, for the creepiness, too). And I’ve dropped Paul Auster’s City of Glass for now, with some regrets because it’s so darned clever–but that’s also the reason I won’t miss it. Looking at this list in chronological order I realize I’m not doing well at bringing it right up to date (1990 seems a lot more recent to me than it will to my students!). Oh well. I used to love drawing up the syllabus for each of my literary courses until the moment when I had to actually commit and send the list in. At that point I was immediately convinced that I’d jumped the wrong way and should have gone for all the rejects instead. I suspect you have the same problem here that I used to have with my children’s literature module. Where do you start? What I would be really interested in, if it isn’t too much of a cheek to ask, is your secondary reading list. I’m trying to explore more academic writing about crime fiction and I would love to know what you think worth reading. Annie, I’ll don’t assign any secondary readings for the survey class, but I can send you some of the references that I read up on when I was developing the course. Along the way I tend to fish on the MLA bibliography for criticism on particular books. I do have a list of recommended secondary readings for the upper-level seminar on women and detective fiction which I can also send along if you send your email address to me at rmaitzen at gmail dot com. 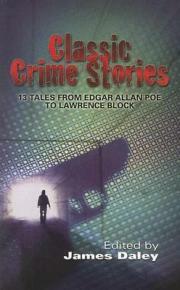 ‘Where to start’ is not such a problem for crime fiction since there is a pretty widely accepted story about its origins as a distinct genre (Poe! )–though of course the minute you say that, you want to “problematize” it. I actually begin by talking about Macbeth–and then we turn to Thurber’s “The Macbeth Murder Mystery” and that lets me set up the whole issue of how we define genres and (more important for my teaching purposes) what difference that makes to how we read them. Very difficult to adequately convey the depth and breadth of the genre, but you have made some very solid choices. An alternative to Paretsky would be Marcia Muller’s _Edwin of the Iron Shoes_ (1977). Muller’s often credited as the creator of the modern female PI, but Maxine O’Callaghan preceded her in 1976. It looks like you have some good Golden Age mystery items in the Daley collection. Annie may be interested in Edward Rielly’s _Murder 101: Essays on the Teaching of Detective Fiction_ (2009) and the Howard Haycraft classic _Murder for Pleasure_ (1941; repr. 1984). Thanks, Elizabeth. I have used Sue Grafton’s ‘A’ is for Alibi before in the course in lieu of the Paretsky, and I do always mention Muller and others in this context but (quite arbitrarily) prefer the other writers. I have also used short fiction anthologies that include more contemporary writers (like the Oxford Book of Detective Stories or the Longman Anthology, which I used last year) which lets me add breadth without making the reading load too heavy, but this year I decided to go with more novels. One writer I will miss is Tony Hillerman. But, as you say, it is difficult to represent all the possibilities. Rohan, many thanks, e-mail on the way and Elizabeth thank you as well. I’ll check those out now.